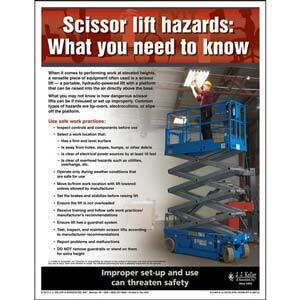 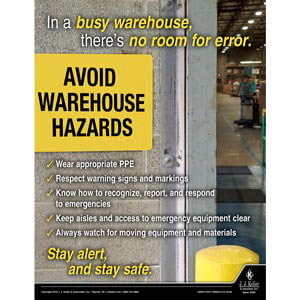 Workplace Safety - Workplace Safety Advisor Poster - "Scissors Lift Hazards: What You Need to Know"
Reminds employees of key issues related to scissor lift safety and operation. 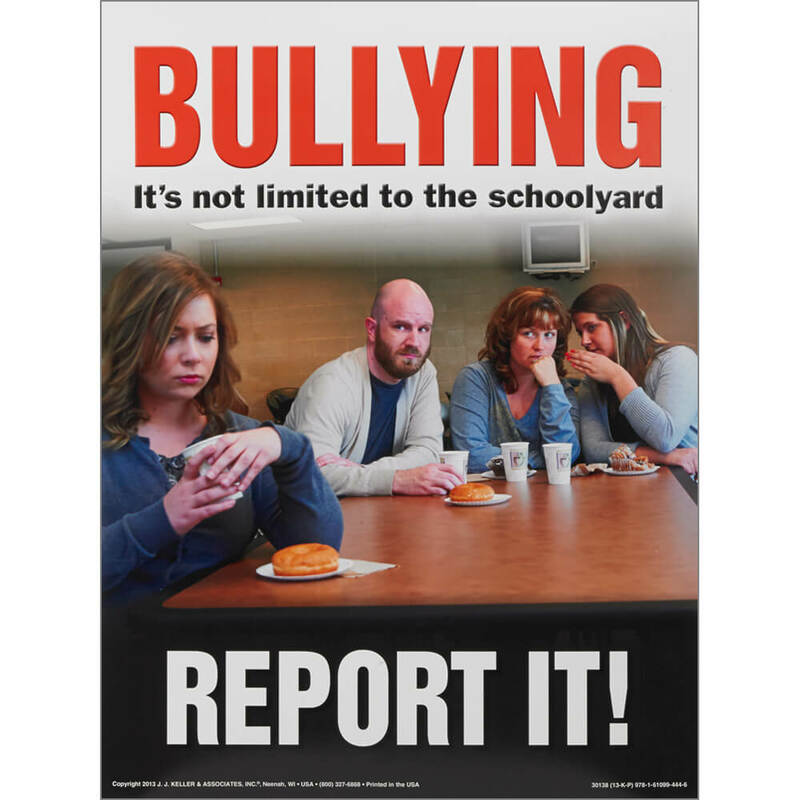 Keeps important workplace bullying and violence issues visible. 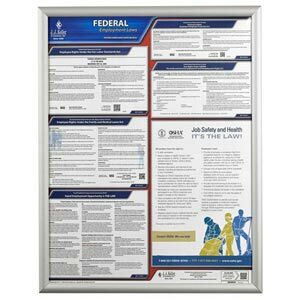 1-sided chart designed for classroom instruction and employee reference. 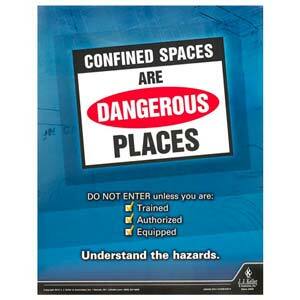 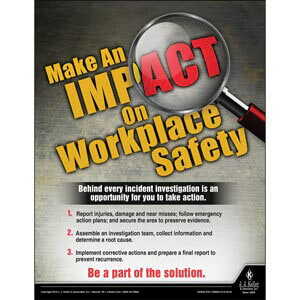 Reminds employees of key issues related to workplace safety. 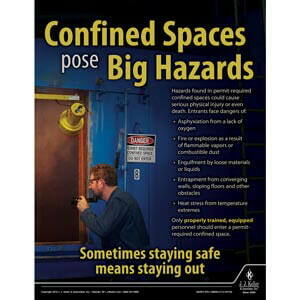 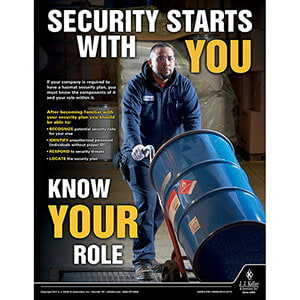 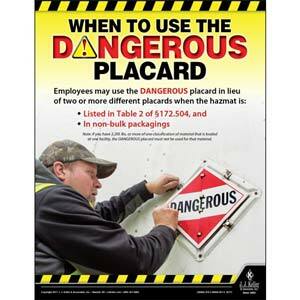 Reminds drivers and employees of key issues related to the hazmat table. 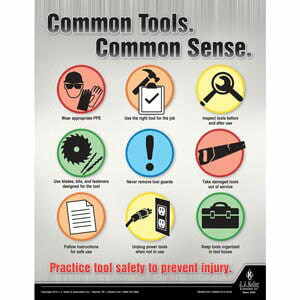 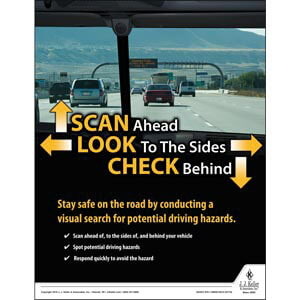 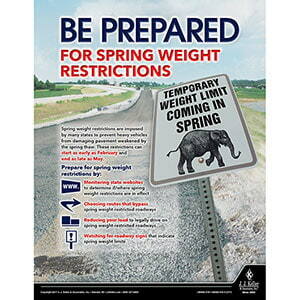 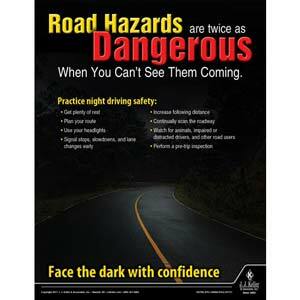 Reminds drivers of key issues related to transportation safety and training. 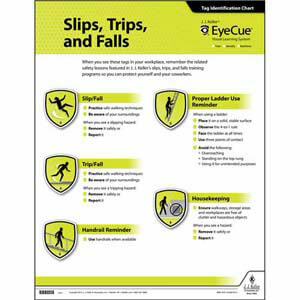 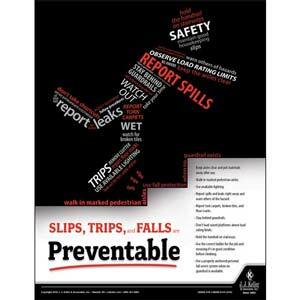 Provides a helpful explanation of OSHA Walking-Working Surfaces rule for employees.